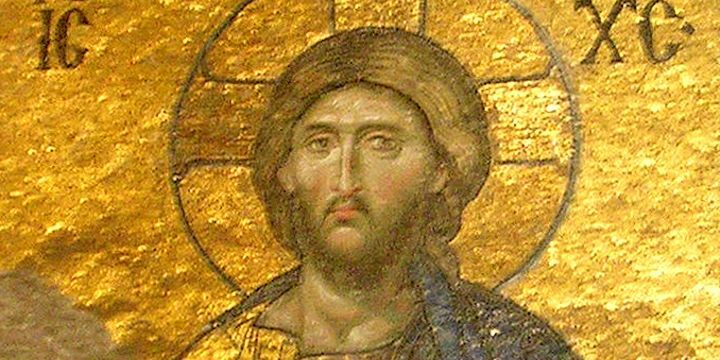 What do the leading secular historians say about Jesus? A lot of things are written about Jesus, by believers, sceptics and everyone in between. But what do the experts (historians at leading universities) say? Ken, a reader of this blog, asked a question about this recently in comments on another topic, so I thought a separate post might help clarify. Beliefs are simply what we each think – about all sorts of things. Generally, we base our beliefs, at least in part, on good evidence or facts. For example, I learn the fact that 99% of the world lives on less income than I do, so I think (believe) that I have a responsibility to alleviate poverty. Or, I learn the scientists have concluded that the world is warming due to human use of fossil fuels, and that this will have disastrous consequences, so I think (believe) that I should vote for politicians who will do something to prevent this. Note that in this case the facts are not absolutely certain (in science they almost never are), but the expert scientists say they are highly probable – and only a minority of scientists disagree. It is the same with Jesus. There are historical facts which most expert historians tell us are probable, with very few dissenting, and other evidence that they are not in such agreement about. And then there are opinions (beliefs) about Jesus, all of us have them, including historians, but we differ widely. Here I am just summarising what historians regard as probable historic facts about Jesus. Some of these historians are christians, some are not, but they are not writing about their beliefs, just about the historical evidence. Almost without exception, expert historians believe a man named Jesus, recognisable as the one described in the gospels, lived and died in first century Palestine – See Was Jesus a real person? for some of the reasons why they believe this, and Quotes on Jesus as a historical person for quotes from some of the world’s most respected historians. Jesus’ tomb was really empty and/or his disciples “saw” him (in what sense is uncertain) after his death. There are of course scholars who contest many or most of these items, but they are apparently in the minority, as most scholars I have read would endorse Sanders’ list at least. While most scholars believe Jesus was known as a miracle worker, not all believe he actually performed miracles. And while most scholars believe either Jesus’ tomb was found empty, or his disciples saw visions of him, or both, not all believe he was physically raised from death. While some scholars believe he was divine, others do not. None of the scholars I have referenced here (Sanders, Casey, Grant) are (or were in the case of Grant) christians; they are/were agnostics or atheists. I believe Jesus was divine, that he was resurrected, and that he really performed miracles. These are my conclusions after considering the evidence referred to above. Obviously other people consider the same evidence and come to different conclusions (beliefs). Luke (especially) and the other gospel writers, including John, have been shown to be reasonably reliable reporters. Classical historians (i.e. ancient historians not specialising in NT history) generally accept the gospels as useful historical documents. It is reasonable to trust these biographies – see Are the gospels historical? and Archaeology and John’s gospel. Most scholars agree that Jesus did not make overt claims to divinity, and scholars are divided about whether he made any less overt claims. But I believe a number of passages, most of which would be regarded as authentic by most scholars, give enough of an indication that he did claim divinity – see Jesus – son of God?. I believe the evidence for the resurrection is best explained by it actually happening – see Was Jesus raised from the dead?. When I quote the scholars, it is to establish the probable historical facts, as outlined above. When I talk about my beliefs, I do not quote the scholars. « Death to the death penalty?